This year, the international trade fair for electronic components, systems and applications will be opening its gates for the 28th time already. From November 13 – 16, around 75.000 visitors will be expected to visit the booths of exhibitors from more than 50 countries in the International Congress Center Munich. Here’s why you should attend too and what you can expect from electronica 2018. After the successful event two years ago, we will again be one of the exhibitors at this year’s fair. 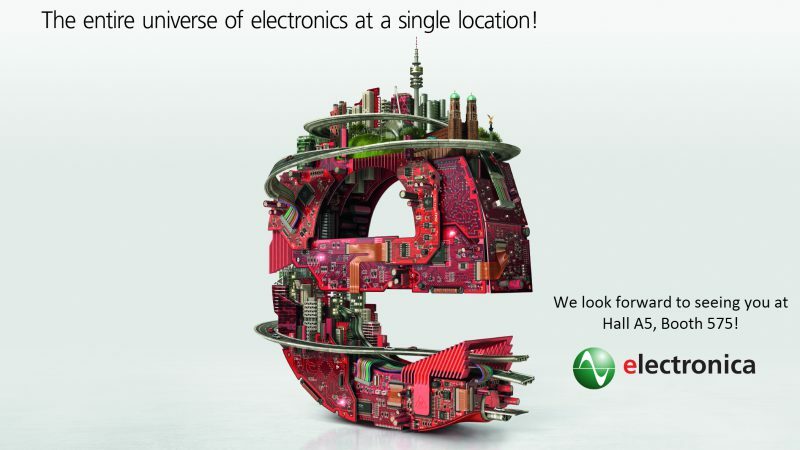 But this time – for the first time ever – you will find all of us not only in the new hall C5 but also under one roof with our mother company Avnet. 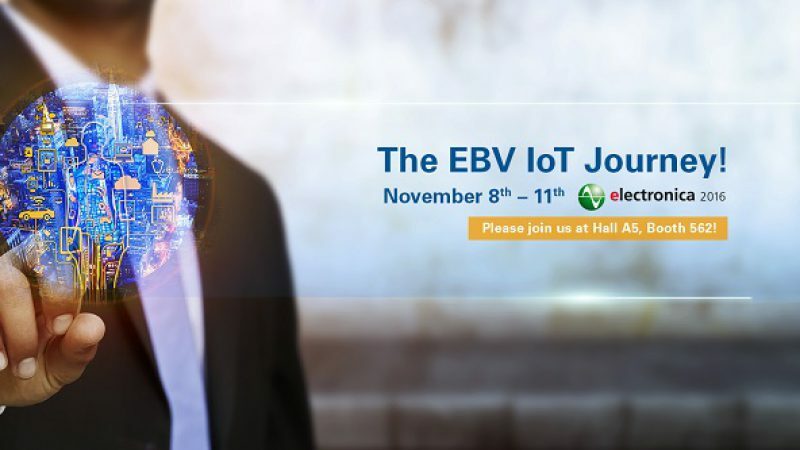 EBV’s presence at electronica 2018 in Munich this year will be focused on Artificial Intelligence and IoT again. Visit us in Hall C5 on Booth 101 and find out more! 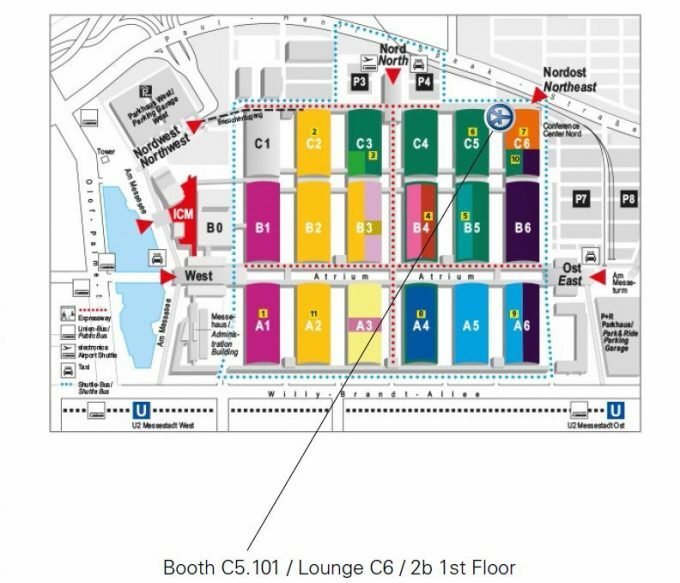 Once again this year, we will also provide our customers with a meeting point away from the hustle of the exhibition hall. 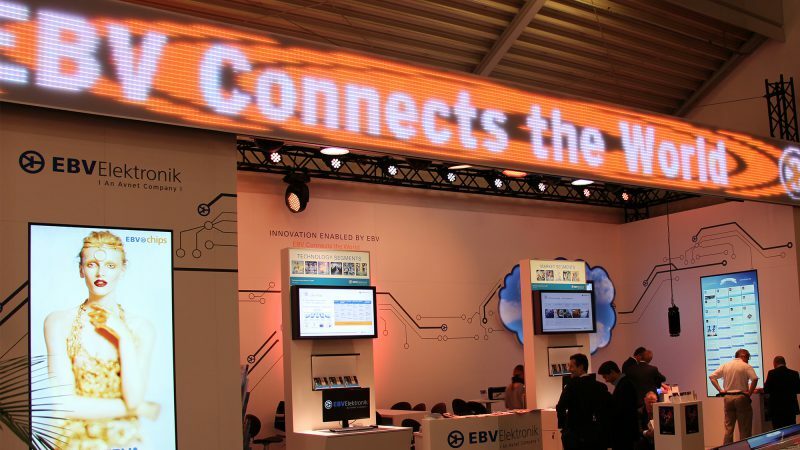 Be invited to join us in our legendary EBV lounge at Hall C6 / Room 2b and meet your EBV representative in a more relaxed atmosphere. See you in November! 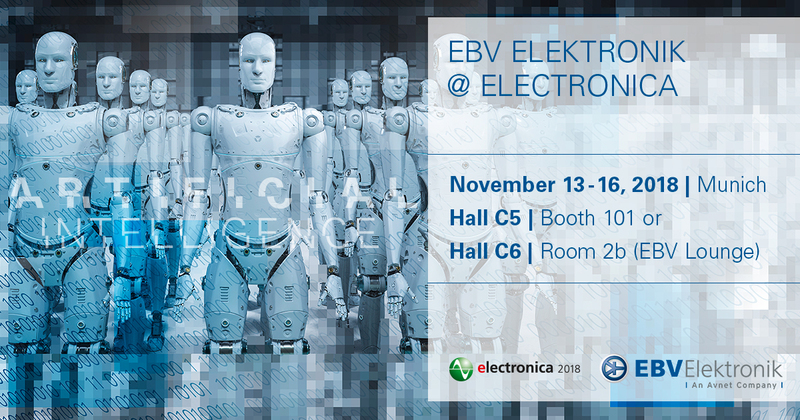 All infos about the EBV presence at electronica 2018 can be found here. 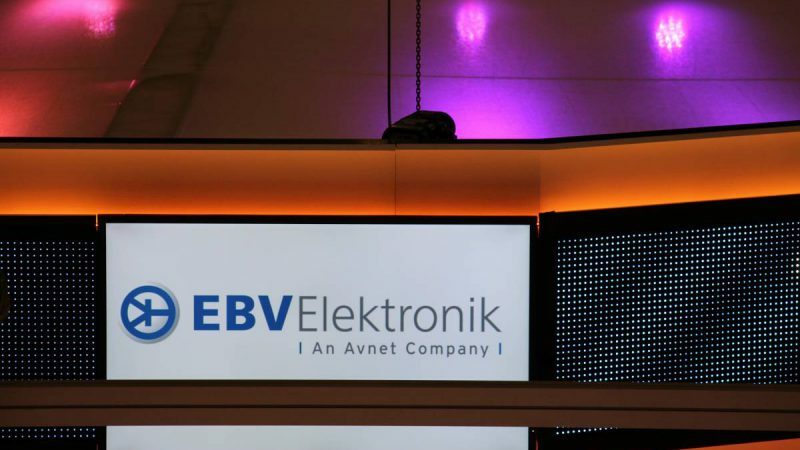 EBV Elektronik is sponsoring together with Avnet silica the electronica fast forward 2018 platform, which is powered by Elektor. The objective is support engineers and startup companies. For that purpose, the Board Games contest entitled „Design for a Better World“ has been launched. Developers and designers can join the Board Games and have the chance to win one of the prizes in total worth more than 15,000 Euros. Want to know how to participate? Here you will get all the information you need! On November 15 the winners will be announced in different category. During a pitch session on November 16, the first-place contenders from each category will fight against one another again for the top three prizes.